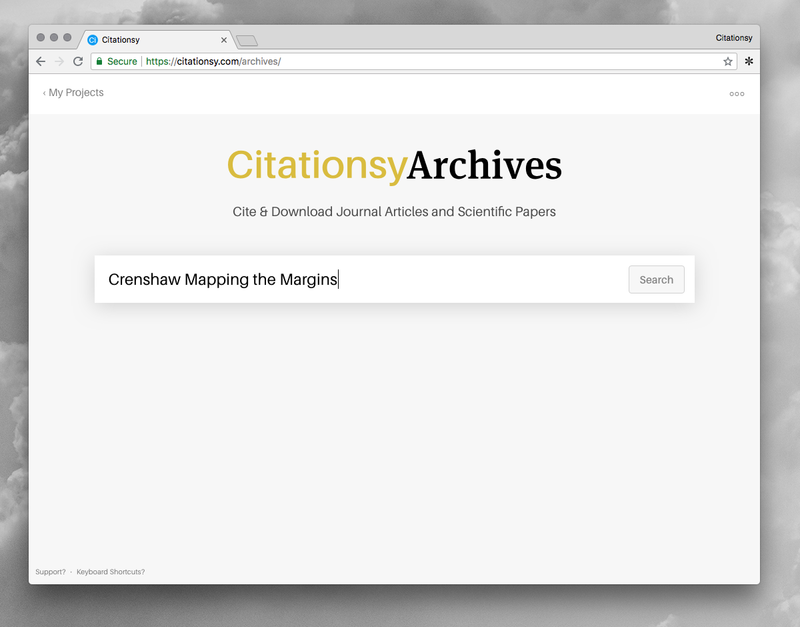 Citationsy Archives lets you search for journal articles and papers, download them, and of course cite them in your Citationsy projects. After entering a query it searches through all published papers in the world and shows you the matches. You can then click a result to see more details, and immediately cite it from there. It will also let you download the paper through a couple different open access services. 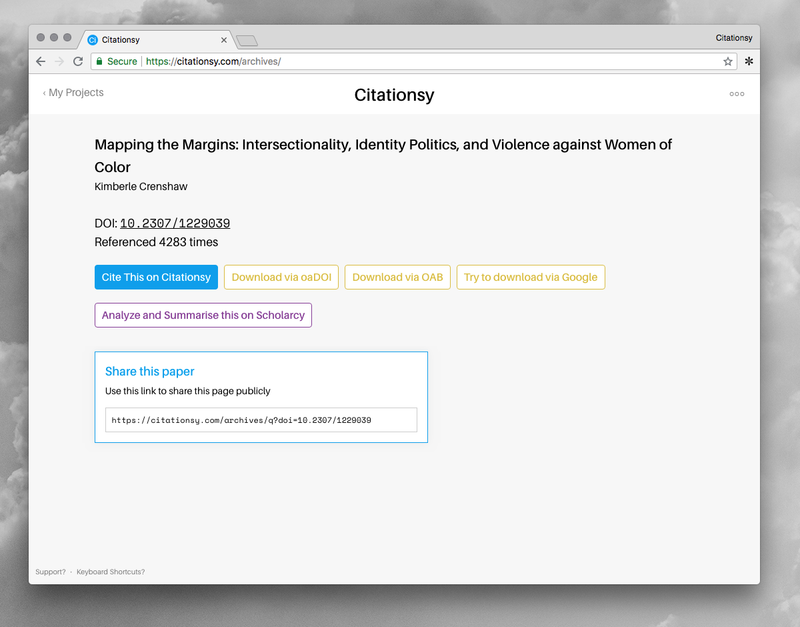 Find out more here or sign up for Citationsy (it’s free!) to give it a try. 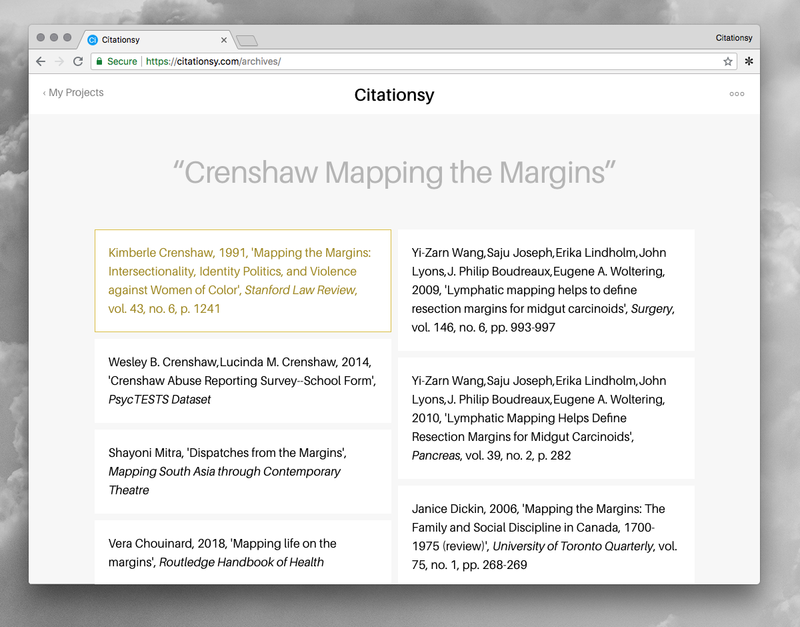 122,389 students use Citationsy to create citations, references, and bibliographies.